Pharmacists would be allowed to substitute biological products with FDA-approved interchangeable biologics under a bill given first-round approval April 11. Biological products include viruses, therapeutic serums, toxins, antitoxins, vaccines, blood components and allergenic products used to treat or cure human diseases. 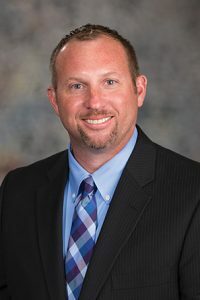 Heartwell Sen. John Kuehn, sponsor of LB481, said current state law governs the substitution by pharmacists of generic drugs for their branded counterparts. Similar permission is needed to allow for the substitution of FDA-approved interchangeable biologics, he said. An FDA-approved interchangeable biological product is one that the FDA has determined to be therapeutically equivalent to a prescribed product. While the FDA solely is responsible for biologics and biosimilars, Kuehn said, Nebraska law needs to be updated to allow for the substitution of biological products. He said 28 states and Puerto Rico have adopted similar legislation and 12 states are in the process. “LB481 is a critical piece of legislation for Nebraska to provide guidance for clinicians and dispensers,” Kuehn said. Under the bill, a pharmacist who receives a prescription for a biological product and chooses to dispense an interchangeable biological for the prescribed product must advise the patient or the patient’s caregiver that drug product selection has occurred. Within three business days after dispensing a biological product, the dispensing pharmacist or the pharmacist’s designee would be required to make an entry of the specific product provided to the patient, including the product name and manufacturer. The bill also would require the state Department of Health and Human Services to maintain a link on its website to the current list of all biological products that the FDA has determined to be interchangeable biological products. LB481 advanced to select file 35-0.